Making Plans for an October Half Term Break Away? Sea Front, Sea View with the beach on your doorstep and mountains to climb just a short distance away. October Half Term is a great time to get out and about and find out just what this fabulous area has to offer! Take a trip through the mountains on the Talyllyn Railway stop off at Dolgoch and explore the woodland walks and see the waterfalls…. Our start dates are very flexible, but if you can’t find what you are looking for, or you want to stay longer than 2 nights, please just give us a call on 07773183299 and we will offer you our most competitive rate. Chatts Cottage – sleeps from 6 – 8 from £460 for 7 nights, pet friendly too. SPECIAL OFFER WEEKLY RATE REDUCED!! Aelfor 2 Sea View – sleeps 6, pet friendly too. Availability for 2 nights only from 20th Oct from £310…. 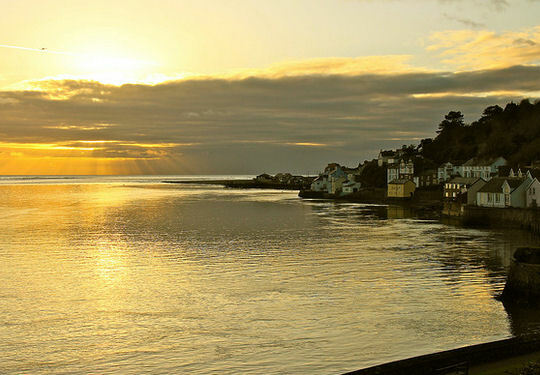 Otago 3 Sea View – sleeps 4 – 5, from £410 for 7 nights, pet friendly too. Min y Mor 3 Sea View – sleeps 4 – 6 from £410 for 7 nights, pet friendly too. Aelfor 1 Ground Floor – sleeps 4 – 5 from £485 for 7 nights, pet friendly too. Min y Mor 1 Ground Floor – sleeps 4 – 6 from £485 for 7 nights, pet friendly too. Min y Mor 4 Sea View – sleeps 2 – 4, from £360 for 7 nights, pet friendly too. Min y Mor 5 Sea View – sleeps 2 – 4, from £335 for 7 nights, sorry no pets. Min y Mor 2 Sea View – sleeps 2 – 4, from £370 for 7 nights, pet friendly too. Beachcomber Sea View – sleeps 2 – 4, from £405 for 7 nights, sorry no pets. Spinnaker Sea View – sleeps 2 – 4, now from £365 (was £405) for 7 nights, sorry no pets. Seascape View Ground Floor – sleeps 6, from £585 for 7 nights, pet friendly too. If you need something different to our preset online bookable breaks, then let us know here, we will try our best to fit in with your requirements.